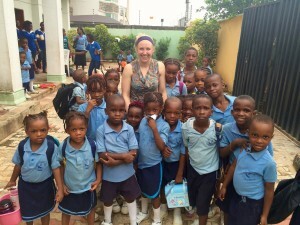 In recent years, our graduate students have conducted research in places are far flung as Zambia and Germany, South Africa and Argentina, Nigeria and Cuba, Spain and Tanzania, Japan and Mexico, Ghana and Russia, The Gambia and Brazil, Senegal and France, Portugal and Mexico, and Kenya and the USA. Our students have been incredibly successful at obtaining funding from the Fulbright Foundation, the National Science Foundation, British Library Endangered Archives Program, Foreign Language Area Studies Program, Social Science Research Council, National Endowment for the Arts, and Andrew W. Mellon Foundation. In addition, they take advantage of a host of opportunities provided by fellowships available in the Department of History, in College of Social Science, and at Michigan State University. Such funding makes research across the state, throughout the country, and around the world possible. Our students carry out important projects and write dissertations, articles and books that are transforming their fields of study. They engage in cutting-edge digital humanities work in partnership with Matrix, H-Net and LEADR. And they have been successful on the job market. We welcome inquiries and applications to our graduate program. Slider image: James Blackwell, in summer 2016, conducted research at the National Archives Enugu, in Enugu, Nigeria on a WARA pre-dissertation fellowship. He collected materials on Igbo labor migration and settlement in British Southern Cameroon. 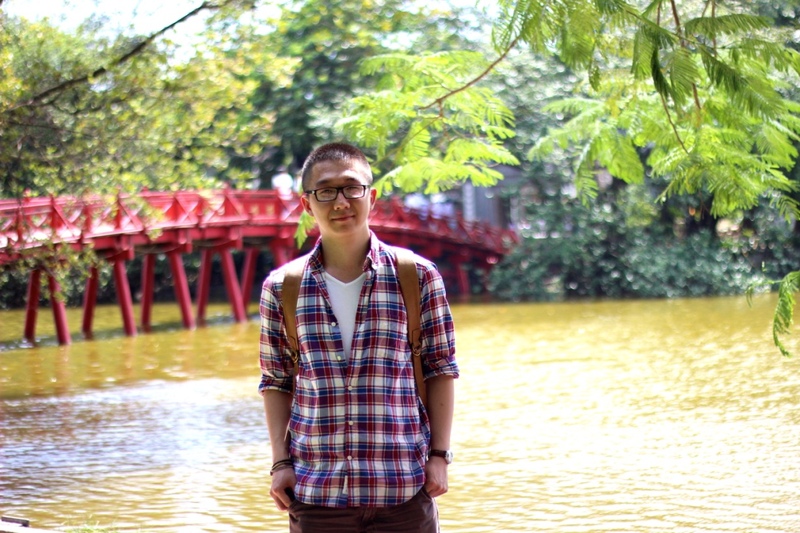 Graduate Student Anh Le in Hanoi, Vietnam. Anh Le conducted pre-dissertation archival research in Hanoi, Vietnam in summer 2016. He collected Vietnamese and French colonial newspapers to study the Chinese community in the late 19th and early 20th century Vietnam. In the photo, Anh is standing in front of Thê Húc Bridge, a symbolic landmark in the middle of the Lake of the Returned Sword. The lake is located at the heart of Hanoi. 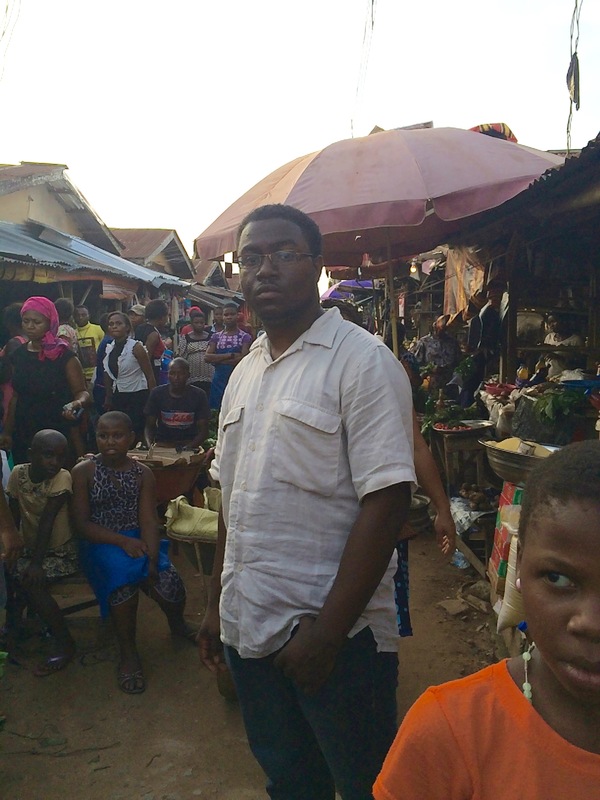 Shaonan Liu conducted research in Nigeria in 2016 on a History Department summer fellowship. 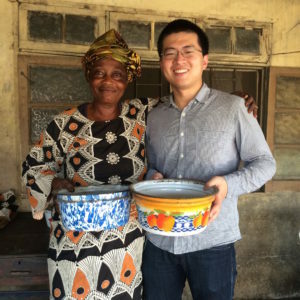 He collected materials about the history of Chinese migrants and products in Nigeria for his dissertation. 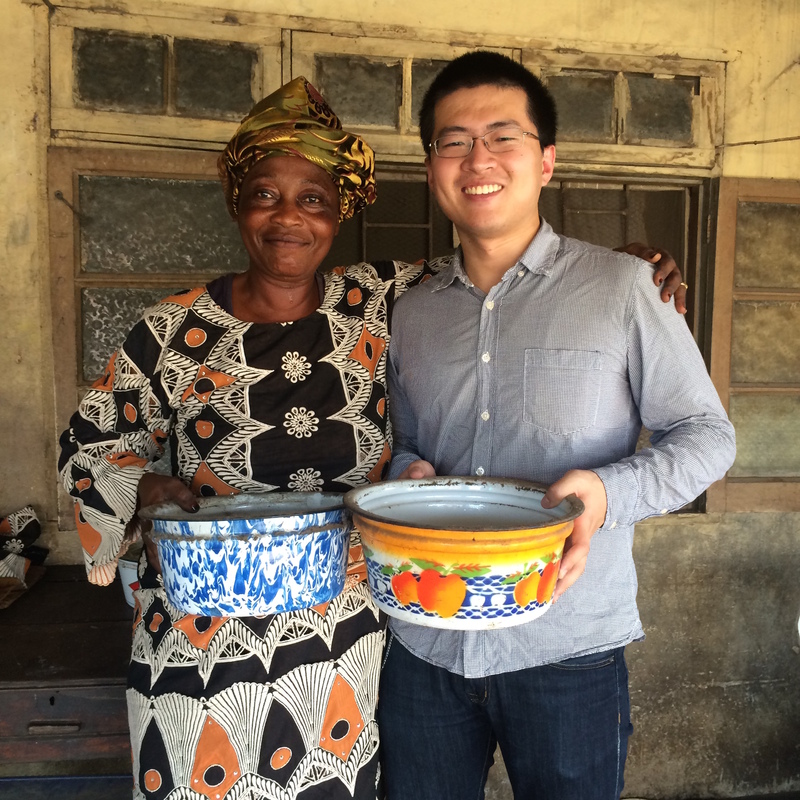 In the photo, Liu is with a Nigerian woman in Lagos after conducting oral history interviews about her experience with Chinese products. The enamelware she is holding in the picture was manufactured by a Chinese factory in Lagos in 1972, which she bought for her wedding and she said she would pass it on to her son. 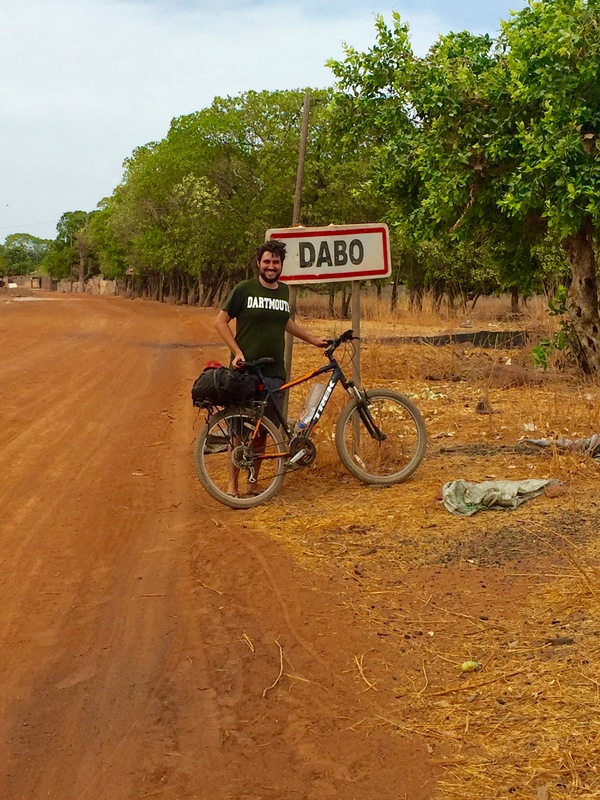 Dave Glovsky conducted research in Senegal in the summer of 2016 on a College of Social Science Research Scholars Fellowship. He conducted interviews throughout southern Senegal, where his dissertation focuses on transnational social, cultural and political change among the Fulbe of Gambia, Senegal and Guinea-Bissau, centered around the impact and reaction to colonial borders. In this photo, Glovsky reconnects with children from the village where he served as a Peace Corps volunteer from 2010-2012, where he also conducted interviews. Sarah Jacobson traveled to Germany and Italy during summer 2016 with funds from the department to conduct pre-dissertation research. She spent over one month collecting materials on housing occupations during the 1970s and 1980s and coordinated with numerous institutions to return and conduct oral interviews with those who squatted. 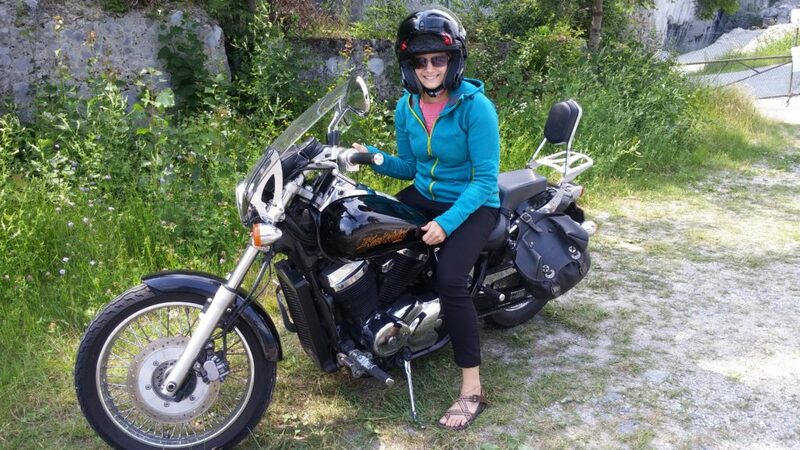 In this photo, she traveled via motorcycle through the pre-Alp region of northern Italy to arrive in Turin, a hotbed of political and social protest during the late 1960s and 1970s. Below, Adrienne Tyrey conducts dissertation research in Morocco in 2015. 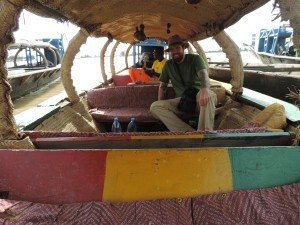 Joseph Bradshaw traveling along the Niger and Bani Rivers in Mopti, Mali, on his way to conduct oral interviews.Bradshaw spent summer 2015 conducting preliminary research for his dissertation in African history. While studying Arabic at the Center for International Learning in Muscat, Oman, Marshall took a day trip to Sultan Qaboos Grand Mosque. 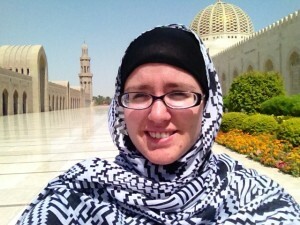 She is pictured here on the grounds of the large and very beautiful mosque during a tour about the impressive architecture and social importance of the site. James Blackwell stands in market of Owerri Nigeria. 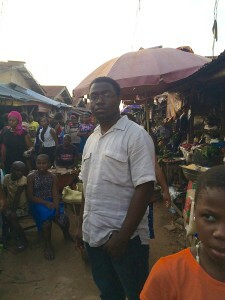 James pent summer 2015 studying language and conducting preliminary research for his dissertation in southeastern Nigeria. While doing pre-dissertation research in Senegal and Gambia, David Glovsky took a break from research to visit Yang-Yang, the last capital of the Jolof Empire. 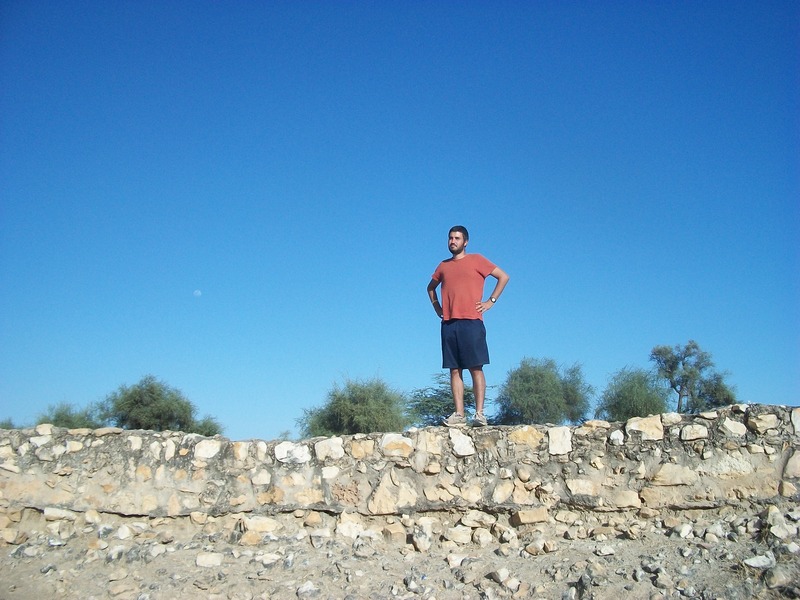 Glovsky is pictured here atop a former fortification used for the defense of the empire. Graduate Student Janelle M. Edwards near the Praça de Marques do Pombal in the Paque Eduardo VII, Lisbon, Portugal. 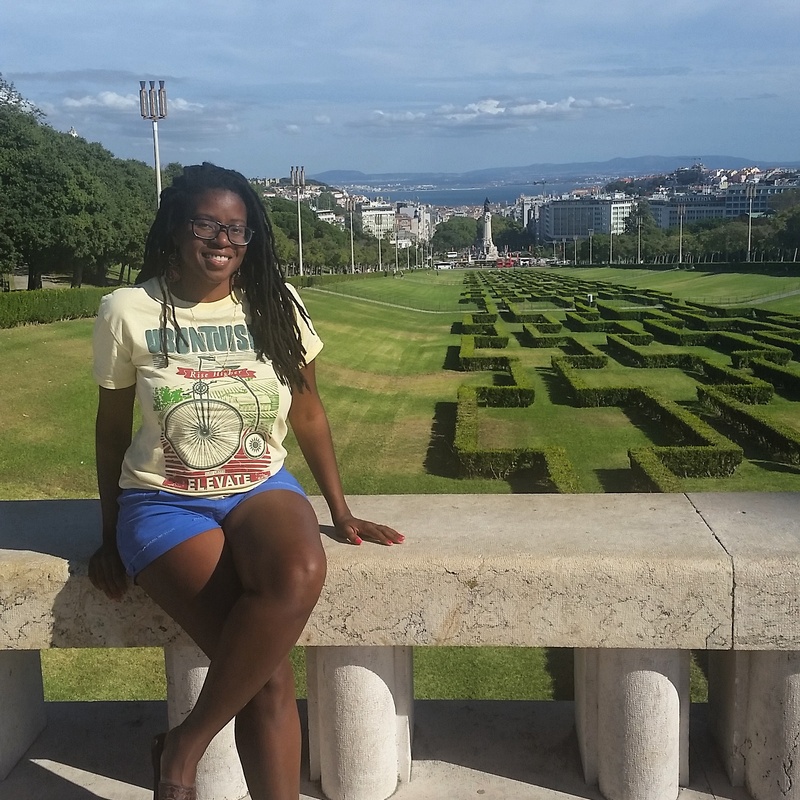 Janelle was in Lisbon conducting dissertation research in summer 2015. Alex Galarza traveled to Buenos Aires with support from a Fulbright Grant and a FIFA João Havelange Scholarship to conduct research on the social, economic, and political impact of soccer clubs in Buenos Aires. During his fieldwork, Alex worked with journalists to produce a documentary on the history of Boca Juniors, the main soccer club he studies in his dissertation. In the photo, Alex is interviewing Antonio Rattin, Boca Juniors legend and former captain of the Argentine national team famously red-carded in the 1966 World Cup while playing against England. 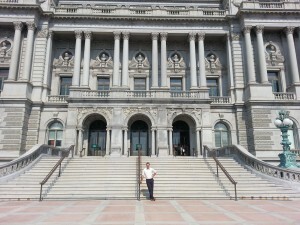 Jacob Jurss stands in front of the Library of Congress in Washington D.C. Jurss traveled to the nation’s capital thanks to funding received through MSU’s Social Science Summer Research Fellowship, the American Indian Studies Program Fellowship, and funding from the Department of History. While there he research the American Indian collections held at the Library of Congress and National Archives as well as toured the National Museum of the American Indian and American History Museum. Doctoral Candidate Amanda Lewis in Amboseli Kenya. 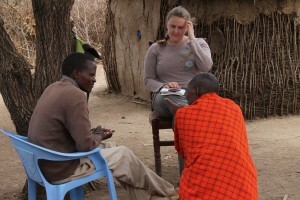 Lewis conducted dissertation research in Kenya in 2013 with grants from Fulbright-Hays and the National Science Foundation. She conducted oral history interviews with members of the Maasai and conservation communities in the Amboseli region in order to understand the history of wildlife conservation. In this photo, she is interviewing Mr. Ole Lenku and is assisted by Raphael Mayiani in the Eselenkei area. 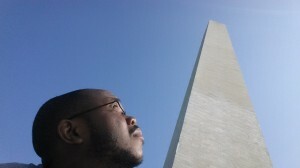 Graduate Student Ronald Jackson II conducted research at Howard University in Washington D.C. and Hampton University in Virginia in summer 2014 on the Ruth Simms Hamilton Dissertation Fellowship. There he collected materials on TransAfrica, an African American foreign policy organization and Orpheus McAdoo, the first African American entertainer to perform in South Africa in 1890. 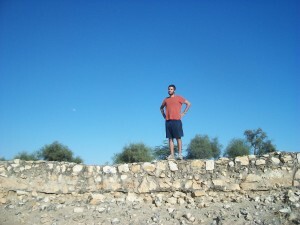 Akil Cornelius is a PhD student in our Africa program who specializes in archaeology and migration studies. With support from the History Department and a National Language Learning Fellowship, Cornelius spent summer term 2014 in South Africa. 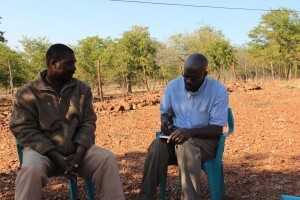 In the photo, he is double checking notes during an oral interview with Professor Charles Netshisaulu, a lecturer at the University of Venda in Limpopo. Cornelius and Netshisaulu are exploring how a small Southern African kingdom harnessed local ecological knowledge to strengthen their sovereignty and stave off colonial armies until the eve of the twentieth century. Liz Timbs traveled to South Africa as a FLAS fellow to participate in an immersive isiZulu language program. She conducted pre-dissertation research in Pietermaritzburg and worked with the Izichwe Football Club, a youth football organization fosters athletic development and productive citizenship. Timbs continues to work with Izichwe and plans to interview team members for her dissertation on contemporary expressions of Zulu masculinity.